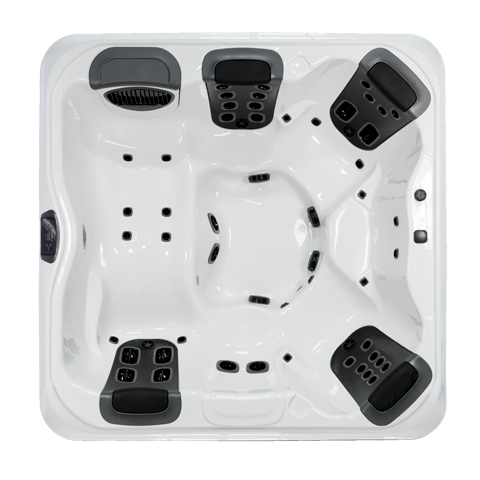 The R7L is a top quality, full featured hot tub with incredible variety. The R7L provides a combination of different relaxation experiences, including a relaxing bent-knee lounge seat and 4 unique JetPaks of your choice. While the R7L is reasonably priced, you don’t have to sacrifice great features, legendary reliability and a wide variety of therapy options.